Description: New genuine Acer laptop hinge set. 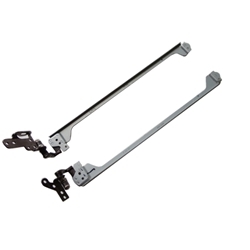 This set includes the right and the left laptop lcd hinge. Part #'s: 33.N6802.001, AM0A0000100, AM0AD000200.